Blogging is fun. But you know what's more fun? Blogging on the go! Ever since Apple first launched the iPad, people have been increasingly drawn towards mobile solutions to their daily-life routines. And being the geekier of the lot, Bloggers too have found gadgets that help them be more productive. Apple announced the launch of a new iPads yesterday, and we figured people would be flocking towards these Apple devices right now. 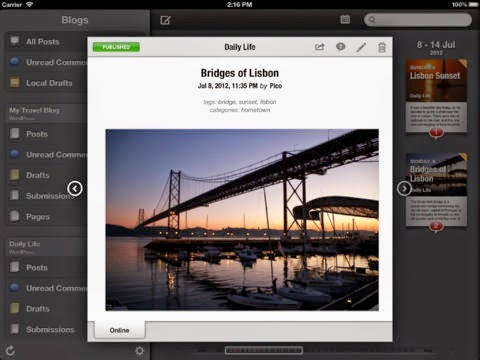 If you are an iPad or iPhone user, or are planning to buy one, here are some apps that are going to help you blog! Today, we're going to take a step out of the ordinary WordPress and Blogger apps, and look at some other well known, and lesser well known apps that every blogger should have! 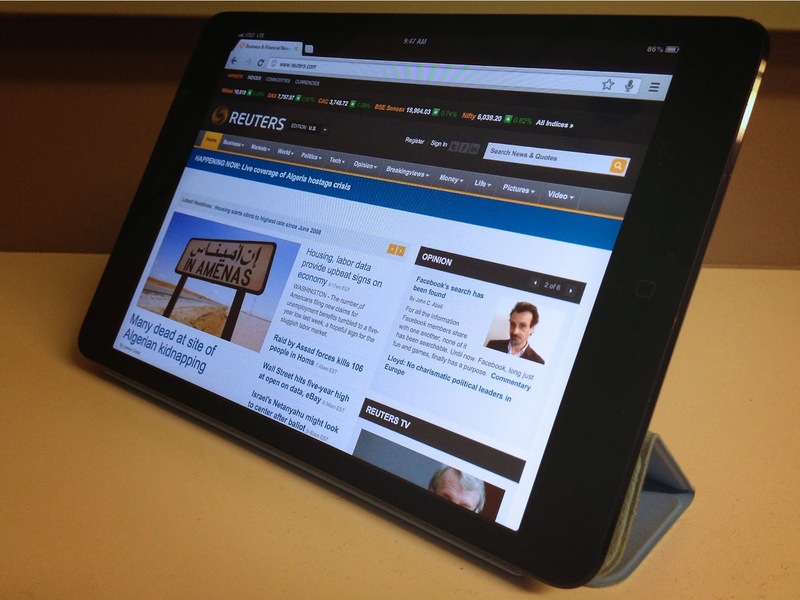 An app designed purely for the iPad, and your one-stop-shop for all your blogging needs. It allows full access to a wide variety of blogging platforms such as WordPress, Tumblr, Blogger, Squarespace, and more. You can also manage your Flickr, YouTube, Vimeo, Instagram, and Facebook accounts right from the main page. Use the drag-and-drop feature to add photos and videos from your social networking sites into your blog posts. Create links from websites with one touch. Use gestures for such adjustments as bold print and text alignment. Create and edit posts and schedule them for publication while on the go. An absolute must application for blogging enthusiasts. If you're all for a comfortable writing experience, then this is the app for you. Day One is an awesome journalism app that gives you a nice writing experience with lots of customization features such as writing reminders, social media integration, etc. Whether you use Blogger or WordPress, or even both, this iPad app helps you create and publish great content from anywhere. If you manage multiple blogs, you’ll have easy access to all of them and be able to check on everything at a glance. Browse your content by date by checking the built-in calendar. 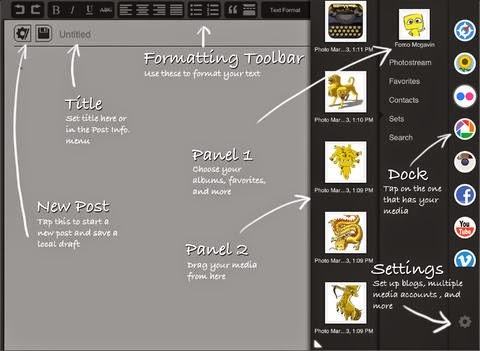 Create, edit, and publish content, including image layout and video uploads. Receive notifications when someone comments and then edit and respond from within the app. Work offline, including creating and editing new and previously published posts. All work will be saved in the “outbox” and published when you are back online. Microsoft's OneNote is so much better than many other note-taking applications. Sure, it might not be as rich as Evernote, but even so I always prefer OneNote. For one, it has simpler and better note management, and you can organize better hierarchies (notes within sections within notebooks etc.). 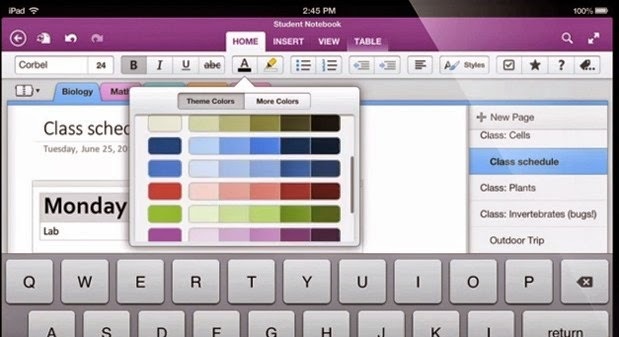 And for another, you can access OneNote so easily. It comes bundled with Microsoft Office suite (Word, Excel etc. 2013). You can access your notes from a web browser too, not to mention the cross-platform app that's available for iOS, Android and Windows platforms. Wow! Great list) Thanks for sharing! My friend being a CEO of a company dealing with content outsourced their app development to Qubit Labs https://qubit-labs.com/outcource-app-development/ and it was a right solution for him since they decrease both workload and expenditures. I Read Your Blog Post For How To Making Money In Marketing. I Such an idea in SEO Related Blog Make to Money.